An Elephant program provides a complex physical and social environment which stimulates natural behaviors, social interactions and activity levels resulting in healthy, well-adapted elephants. 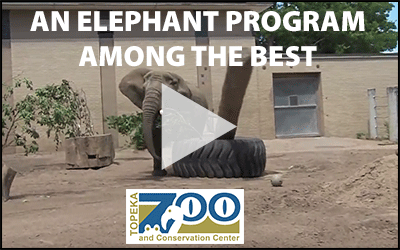 It’s the quality of the space from an elephant perspective, the relationship with animal care staff, and what we provide for the elephant in their habitat that defines our great program. To see what makes our elephant program among the best and to view a day in the life of our elephants, click on the video link below.